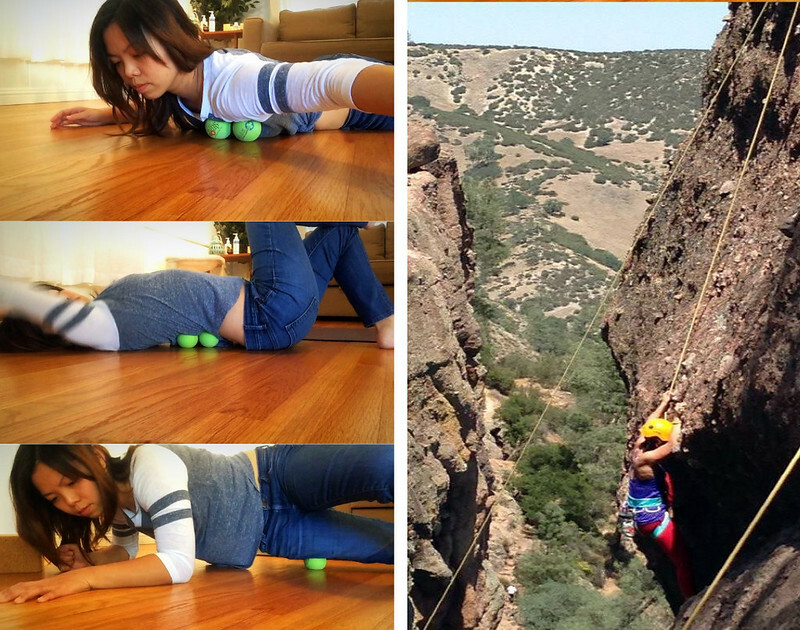 Linh will lead the class in an exploration of all the micro-regions in the human body, using Yoga Tune Up ® therapy balls to excavate tension from your joints and tissues. You will learn how to get rid of the tight knots on your back and shoulders and eradicate the tightness in your hips with just the perfect amount of pressure and care. A full-body ‘rolling’ session is followed by a guided focused breathing which will allow you to experience a state of deep, conscious relaxation. You will leave feeling refreshed in your body and ready to take on a new project. Everyone is welcome. No yoga or climbing experience required. Email Linh at the address above today if you’re interested in joining–space is very limited! A pair of Yoga Tune Up Therapy Balls ($12 value) is included in the cost of the class. No yoga or climbing experience is required for this class.